Local artists and craftsmen will be featured with talented youth from two schools when River City Co. presents a Holiday Market in Miller Plaza on Wednesday, Dec. 13. The market will be located inside Waterhouse Pavilion, 850 Market St., from 5:30 to 7:30 p.m.
Holiday Market vendors will include Good Fortune Soap & Spa, Tangerinas, Locals Only Gifts, Elea Blake cosmetic studio, Lost Art Design, Nooga Paws, Alko-hauler, Best Sesh Board Co. and Center MedSpa. Fresh wreaths will also be for sale from Creekside Flower Farm. The Daily Ration will be on hand to serve wine and beer; Peet's Coffee & Tea will have hot beverages like cocoa and coffee. 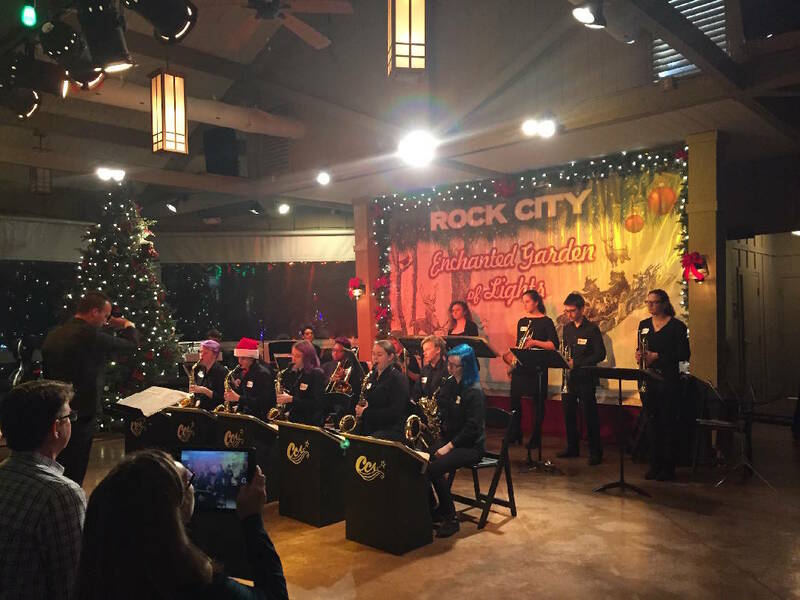 The jazz band from Center for Creative Arts will play from 5:30 to 6 p.m., followed by Chattanooga School for the Arts and Sciences' Middle School choirs from 6:10 to 7 p.m.
Stop by after work and finish your gift-shopping list.